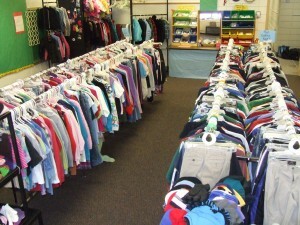 The Closet of Hope is a free clothing store that is available for anyone in need who live in Bloomington and Richfield (ID required, birth certificates for children). 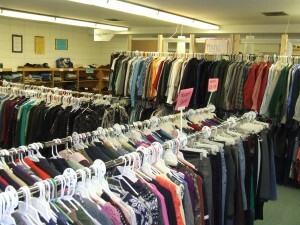 Our shelves and racks are filled with clothing for all ages, footwear, coats, bedding and towels. 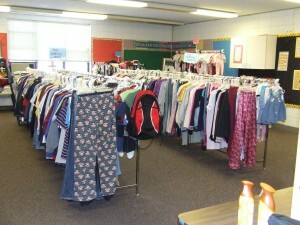 Our visitors will be allowed to take 10 items of clothing. If an adult comes in with 2 kids, the family can take 30 items. We are open the last Saturday each month from 8:45 – 10:30 am. Note: we will be open May 18 instead of the last Saturday due to the Memorial Day holiday. 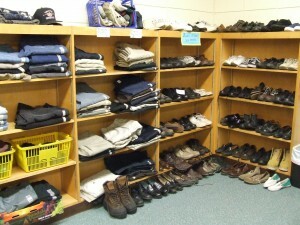 Donations of gently used bedding, towels, shoes, and seasonal clothing for all ages are always needed. Donations can be dropped off on Tuesday & Wednesday mornings from 9-11 am, Wednesday evenings from 5 – 7 pm, or on Sunday mornings from 9:30 -10:30 am. Come to the door by the flagpole to be let in. Please contact the church office at 952-831-8339 if you have any questions.